Cachet Nail Spa offers a full range of services within a luxurious environment, providing guests with the ultimate spa experience. Classical-themed décor, calming sounds, and fresh flora invite guests into a tranquil space where style coexists with safe, natural, and effective products. Dedicated to the enhancement of natural beauty and the health and wholeness of its visitors, Cachet Nail Spa offers manicures, pedicures, and waxing services with exceptional service. 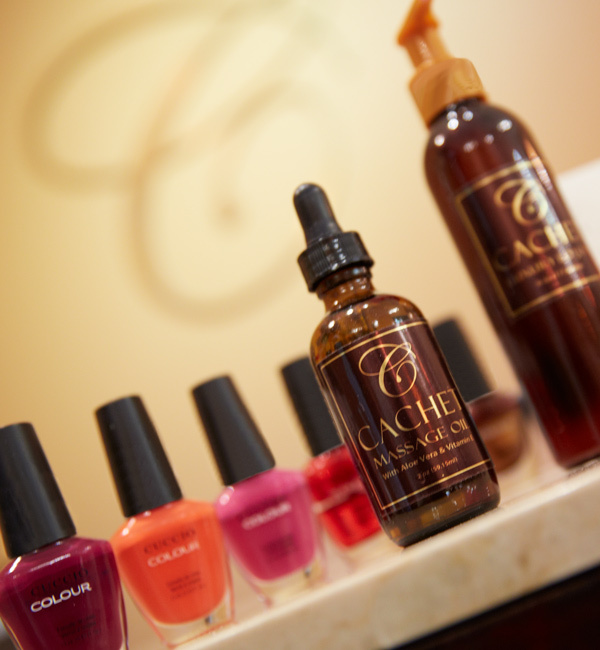 Cachet is committed to offering the highest-quality products and brands like Nexgennails, OPI, Zoya, Essie, and Qtica. Its products are completely free of harmful chemicals and are packed with Vitamins E and Calcium, which help nourish nails and keep them in top health.